Stroke Equipments & Instrumentation Pvt. Ltd.
We are producing an excellent quality range of tripod Flip Chart stands. Our tripod stands are available in various sizes and specifications. 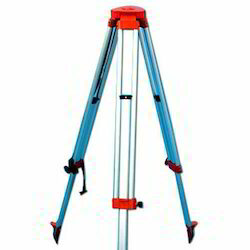 These tripod stands can be customized as per our customers specifications and availed at industrial leading price. Matching up with the exact requirements of customers, we are involved in presenting wide array of Tripod Stand. We are highly acknowledged organization engaged in presenting remarkable range of Camera Stand. - Our product range starts from 500 rs. to 500000 rs. and it will be vary as per product specification. We are producing an excellent quality range of tripod stands. Our tripod stands are available in various sizes and specifications. These tripod stands can be customized as per our customers specifications and availed at industrial leading price. 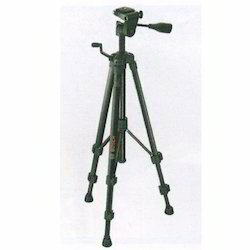 Matching up with the ever increasing requirements of the customers, our company is engaged in providing Tripod Stand. We take pleasure in introducing ourselves as leading firm by offering Turtle Base C Stand. Tripods that are portable forms a suitable platform for supporting the weight and maintaining the stability of the other object.